or How to stay in shape without really trying. 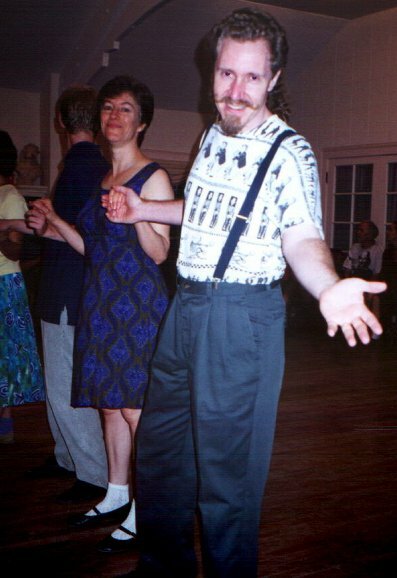 I've been contra dancing since 1989, and was a founder of FolkFire, the Saint Louis and regional folk and ethnic dance and music newsletter in 1992. 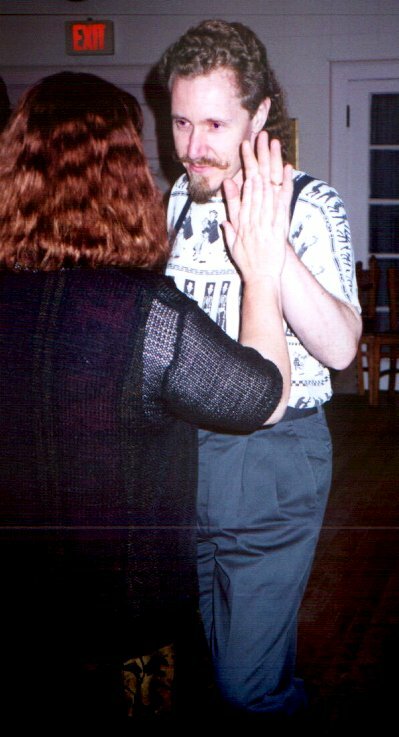 The best way to explain contradance is to show you, so I've been taking pictures and videos for years. I've also written a few articles. Susan Moffett and the Coffee Zombies Play Childgrove On July 21st, 2012 I recorded far too many video clips at the Monday Club. Multiple cameras, each sound channel from a different camera. About 9 minutes from a hot dance. Sep 6, 2009 Union Station Flash Dance On the Sunday afternoon of the High Tea and Whiskey Dance Weekend in Saint Louis, we held a Flash Dance at Union Station. Tower Grove Park Movie Night FlashDance 2009 The Childgrove Country Dancers organized a Flash Dance before an outdoor movie was shown by the Pool Pavilion in Tower Grove Park. Short video with some dancing, and all the music as captured by my little digital camera. August 2009 MoBot Flash Dance After the Missouri Botanical Gardens close to the public on a hot August evening, the Childgrove Country Dancers invade (with permission) and mosey among the many garden zones to waltz and contradance, ending with a wet waltz as the sun sets. Saturday at the Kimmswick Contradance Weekend 2009 Drove out to Camp Sherwood Forest in Cuivre River State Park in Troy, MO for the middle day of Childgrove Country Dancers' Kimmswick Dance Weekend. My shirt-pocket camera took video of many jam sessions and workshops through the afternoon, and folk dancing into the night. 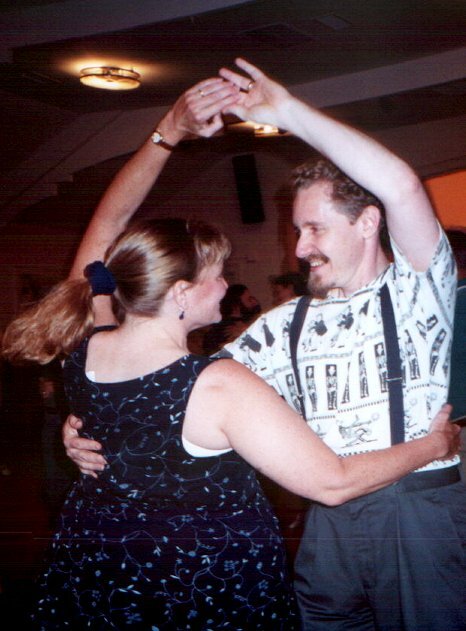 What Is the Sugar Hill Contradance? Sugar Hill is the annual dance camp weekend put on by the Bloomington Old Music and Dance Group. In 2009 I created this video answer to the basic question from one point of view. See the video above for 2009. 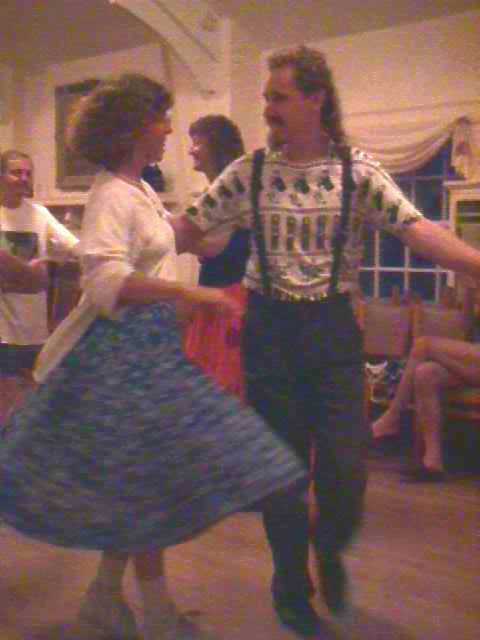 Feb. 2011 Stereograms (3-D pairs) from a local dance (on FaceBook, but publicly viewable). Instructions to view, and links to viewers are there, too. August 2007 Missouri Botanical Gardens Flash Dance Pictures from a hot summer evening. Wet waltzing. August 2008 Missouri Botanical Gardens Flash Dance Pictures from another summer evening. 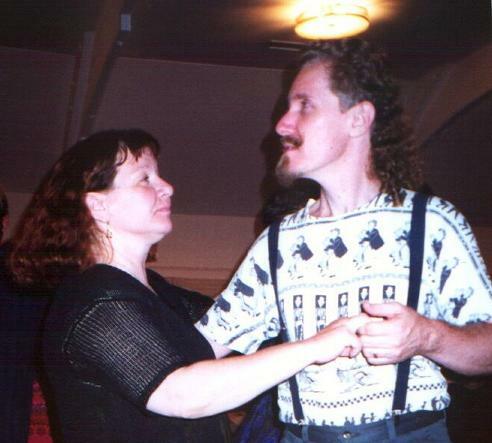 Hatchling callers and wet waltzing. 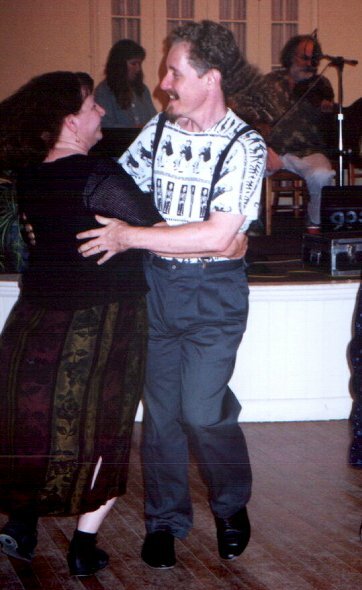 See some snapshots I took of Morris Dance, English Country Dance, a bagpiper, and a Shakespeare skit at the 2002 Missouri Botanical Gardens English Festival. 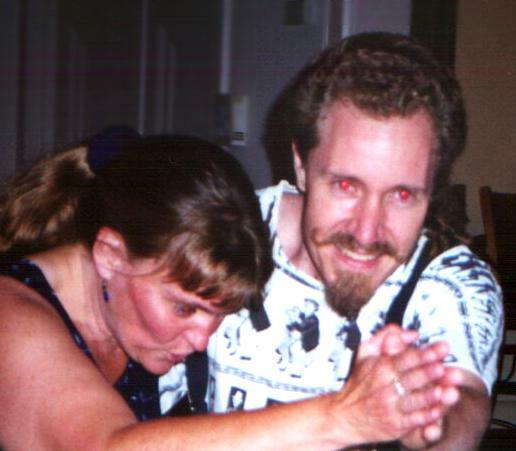 Here are a few thumbnailed pictures which were taken at one of the weekly local St. Louis dances put on by the Childgrove Country Dancers. These were taken to be used for an article in the Alpine Engineered Products corporate newsletter just before I found out I was to be let go in a re-org (October, 2000). A couple of snapshots from that series accidently turned out to reveal the interesting contrast of my dance personalities. Rolling, rolling, rolling which I wrote before the previous, just for fun (never published on paper). 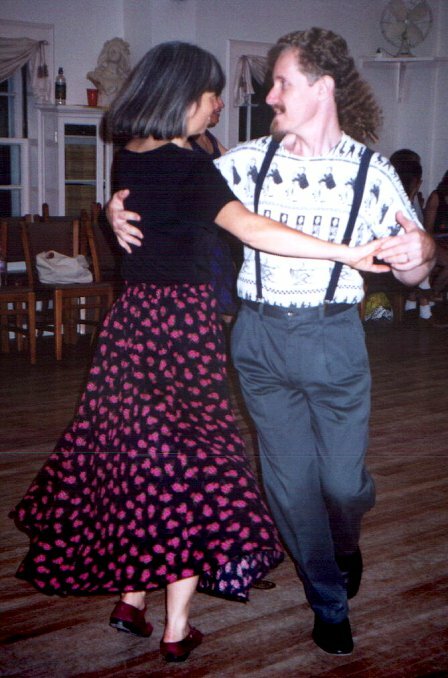 Greg Rohde's Dance descriptions and links A good place for a non-contradancer to find out what (s)he's missing.